We've been waiting (somewhat impatiently) for the release of the Ubuntu Touch Preview images for phones and tablets, and the time has finally come. The developer preview images are now available from Canonical, and don't worry, we're already loading up the images on our Nexus devices for testing, and we'll be bringing you the hands-on impressions as soon as possible. As a reminder, the current Touch Preview images for Ubuntu are only compatible with the GSM Galaxy Nexus, Nexus 4, Nexus 7, and Nexus 10. 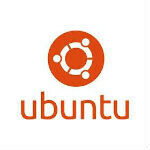 The final version of Ubuntu for phones and tablets will support "any phone that runs Android" according to Canonical founder Mark Shuttleworth. But, for now the support is limited only to Nexus devices. The instructions are also available to install Ubuntu on your Nexus device, but be warned that the instructions are terminal commands for Ubuntu. There are no instructions for Windows or Mac users. If you can handle all of that just head to the source for the instructions and images. Also, if you have updated to Android 4.2.2, you may notice that the Developer Options are missing from the Settings menu. To show the Developer Options, simply go to Settings-->About Device and tap on the Build Number seven times. Once you do that the Developer Options will reappear and you'll be able to enable USB debugging. it will need a year for full experience not good u cant just start over from adding app 1 by 1 to store idont like Ubuntu since it is dualboot in my pc. No settings menu? :s What about the Mail client?, Is it integrated or you have to download an app? Haven't tried the mail client, but apps like Facebook and Twitter are like browser-based. If you weren't connect to the internet, it'll appear just like a browser that can't connect to the internet. It'll even show you the website it uses. And about the settings, I still haven't had it figured out.. Maybe I should play around with it a bit more... anyhow, it's still a devs preview. There is no mail client yet. It's all web apps. The core apps like mail, calendar, youtube, FB, and Twitter are all being built by the community right now. Developer options were gone in 4.2.1 (GNex) too and one had to go thru the drill of tapping 7 times.